Alfred Degiorgio “il-Fulu” has argued that his right to a fair trial is being breached by investigators’ failure to obtain Daphne Caruana Galizia’s laptop. In a constitutional application filed on Friday, Mr Degiorgio’s lawyer William Cuschieri said that police were failing in their duty to collect all evidence for and against the accused and accused the police commissioner of “having done nothing and doing nothing currently” to obtain the murdered journalist’s laptop. Mr Degiorgio is one of three men accused of murdering Ms Caruana Galizia. Her laptop, Dr Cuschieri argued, could contain “sensitive information about third parties responsible for the murder”. In the application – one of two filed by his lawyer on his behalf on Friday –Dr Cuschieri said police have not obtained the laptop because Ms Caruana Galizia’s family have refused to hand it over. 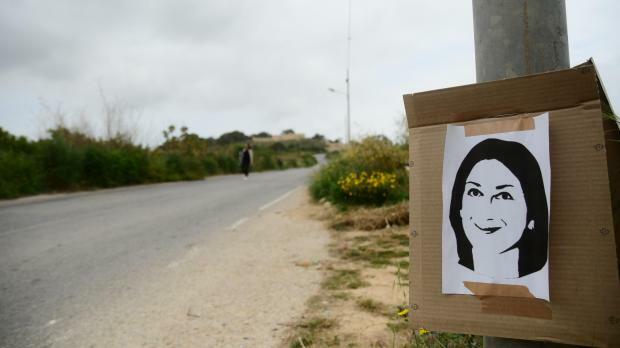 “Strangely and unfortunately, it appears that the other parties or some of them are letting the family of Daphne Caruana Galizia dictate what evidence is gathered,” Dr Cuschieri claimed. One of Ms Caruana Galizia’s sisters had publicly stated that the laptop was in her possession, while one of her sons had publicly declared “I would burn my mother’s laptop in front of the police, if I knew where it was,” the application stated. The applicant requested the court to declare an ongoing breach of human rights and to order the respondents to take all necessary steps to obtain and analyse the laptop, computer devices and server used by the assassinated journalist. In a second court application filed by Alfred Degiorgio, his lawyers again insisted that the involvement of court-appointed expert Martin Bajada in the case breached his fundamental right to a fair trial. Mr Bajada, an IT expert who was convicted of theft and fraud in a UK court back in 1993, is believed to have worked with the FBI to examine mobile telephony and data traffic records relating to the murder investigation. In the application filed on Friday, Dr Cuschieri again emphasised Mr Bajada’s “criminal past” and expressed dismay that the court expert had been allowed to file a written reply to the initial application, despite not being a party to the case. Dr Cuschieri argued that his client’s ongoing battle to have Mr Bajada removed from the case meant that the latter could not be an impartial witness and raised serious doubts about the integrity of his work. For these reasons, the court was asked to declare a breach of the right to a fair trial owing to the fact that FBI officials had worked alongside Mr Bajada, a breach which would be aggravated if these FBI agents were to be allowed to testify in the proceedings.